Say no to washing up by hand and wasting time by choosing one of our dishwashers. 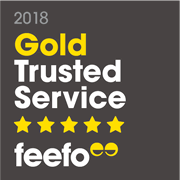 From discreet built in dishwashers to space saving slimline dishwashers we can help you. Dishwashers can not only save you time at the sink, but can offer better results and increases hygiene. View, Click and Buy Dishwashers from ViewClickBuy. Find Full Size Freestanding and Built In Dishwashers are ideal fro larger homes and families. They have a large capacity, usually between 13 and 15 place settings offering plenty of room for your dirty dishes. 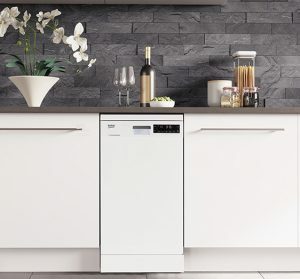 Find Slimline Freestanding and Built In Dishwashers. Compact and perfect for smaller homes. 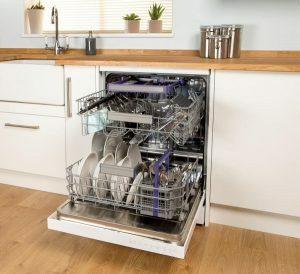 Slimline Dishwashers usually have place settings ranging from 9 to 12.